L'Oreal Hair Expertise recently developed its EverStrong Hair and Scalp System, which promises stronger, thicker hair in 30 days. 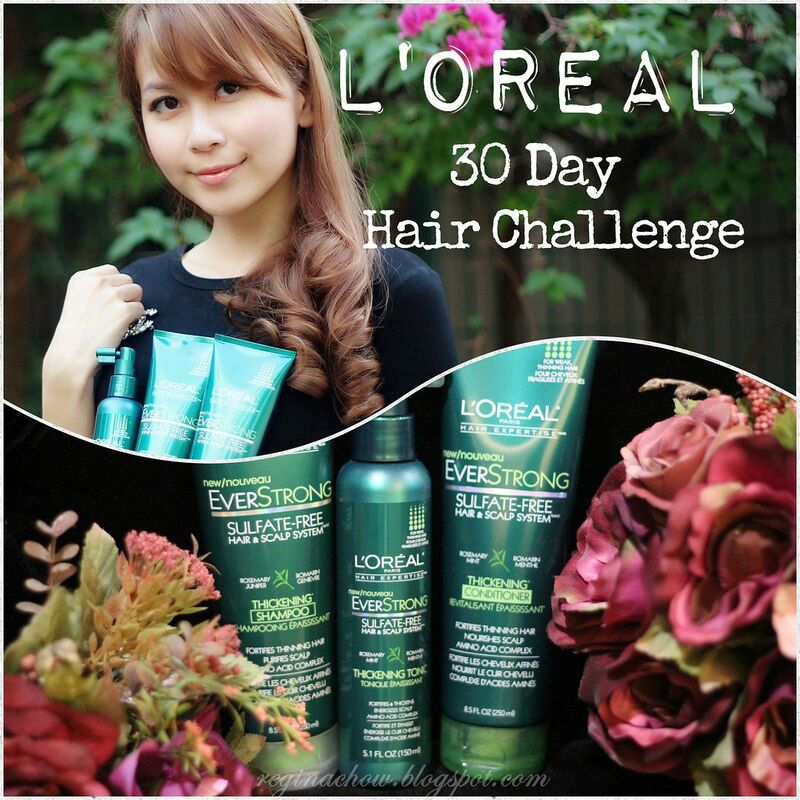 If you follow me on instagram (@reginachow_sg), you may have read that I gamely took up L'Oreal's 30-Day Hair Challenge. It is important to condition your hair ends, which is what we all tend to focus our efforts on to achieve silky smooth hair, but did you know that the scalp is just like our skin and needs just as much tender loving care? Fertile soil is necessary for plants to thrive and flourish. 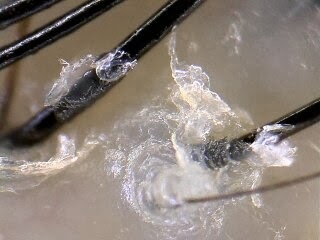 Similarly, a healthy scalp promotes hair growth and is the key to having healthy, beautiful hair. What causes scalp problems? Excess sebum production and using the wrong hair products without clarifying the scalp will clog pores and hair follicles over time, leading to scalp problems and hair loss. Our hot and humid weather doesn't help either as it only makes our scalp oilier. Well, the good news is, hair thinning and hair fall issues can be easily prevented with the use of proper scalp care products such as L'Oreal's EverStrong Hair and Scalp System. The use of scalp care products on a regular basis will also help to strengthen hair strands, leading to healthier, more beautiful hair! In a day and age where we encounter chemical substances in practically every facet of our daily lives, responsible brands and products that cut down on the usage of chemicals are definitely a breath of fresh air. I am sure that many of us are no stranger to L'Oreal Hair Expertise's range of hair products, which are 100% sulphate-free, silicone-free and paraben-free. The complete suite of L'Oreal Hair Expertise products includes EverSleek for frizzy, rebellious hair, EverPure for colour-treated hair, EverCreme for dry to very dry hair and finally, the latest addition to the family - EverStrong for scalp care and hair fall control. Frequent colouring has rendered my scalp sensitive and somewhat irritable, hence I often turn to in-salon scalp treatments to maintain my scalp health. 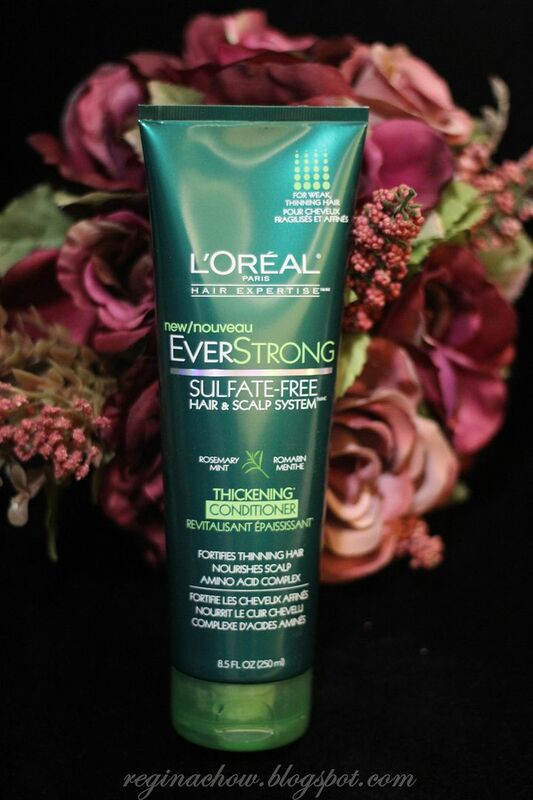 On days when I don't have time to head to the salon, L'Oreal's EverStrong Hair and Scalp System is the most comprehensive sulphate-free scalp care system that I can rely on to care for my sensitive scalp. These products are also infused with nourishing botanical oils to energize and invigorate the senses. The EverStrong range consists of a set of 1) shampoo, 2) conditioner and 3) hair tonic. When it comes to maintaining a healthy scalp, you have to be conscientious and patient because it takes time for you to see results and these results take place over time. 30 days is just about right for you to see some visible results. Although I have only reached the 1 week mark when this post is published, there are already significant improvements in my scalp condition based on my scalp scan results which you will see later on in this post. I love shampoos that lather well as I personally feel that my scalp and hair feel cleaner, hence I was initially a little apprehensive when I first tried the L'Oreal EverStrong Thickening Shampoo as I thought it wouldn't produce much lather, like most sulphate-free shampoos or other conventional scalp shampoos in the market. Surprisingly, it lathers like a dream. Not only does my scalp feel much cleaner, my hair also feels softer and silkier immediately after shampooing, which is impressive given that most of the scalp shampoos that I have tried tend to leave my hair dry and entangled. I also love the fresh minty scent which appeals to both sexes. If you have a sensitive scalp like me, it is absolutely important for you to steer clear of hair care products that include sulphates. Sulphates are typically used in hair care products to create foam but these chemicals are so harsh, they strip your scalp of moisture and causes it to be even more irritable than it already is. L'Oreal understands what is needed to promote a healthy scalp, hence its EverStrong series is completely sulphate-free and is specially enriched with Rosemary and Mint oils to soothe dry sensitive scalp and regulate sebum production. The formula also includes amino acid complex to strengthen and fortify hair strands. I use conditioner on a daily basis to keep my hair well moisturized and I have always been told not to apply any conditioner to your scalp as it weighs down the hair at the crown and could also make your scalp oilier. You can imagine how shocked I was when I read the instructions behind L'Oreal's EverStrong Thickening Conditioner and realized that this conditioner can actually be massaged into your scalp. Again, I was quite skeptical. What if it weighs down my hair and causes my scalp to itch? Nonetheless, I followed the instructions and dutifully massaged the conditioner into my scalp and hair strands before rinsing. To my utter amazement, there was no greasy after feel. On the contrary, I felt that it gave my roots a natural lift, which contributes to fuller-looking hair. In fact, a couple of my friends commented that my hair looks fuller and thicker recently, and some new acquaintances even thought that I was born with naturally thick hair. 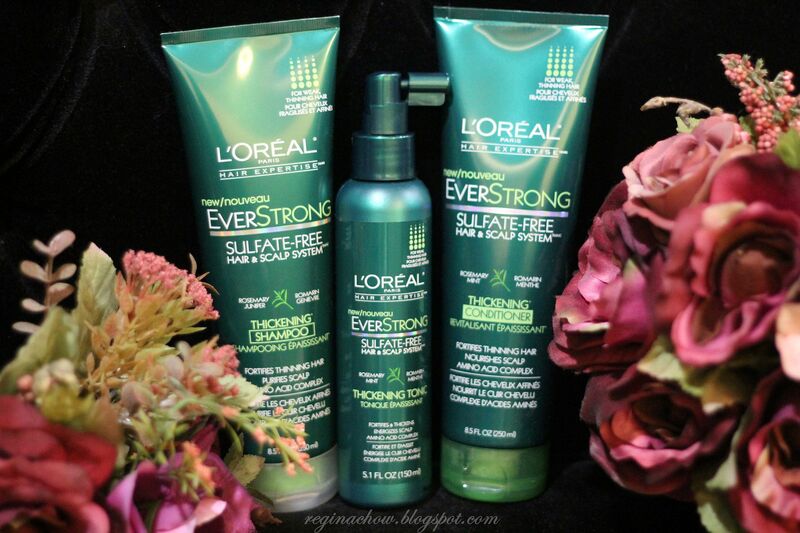 I have never received such compliments in the past as my hair is naturally thin and fine, hence I strongly believe the L'Oreal EverStrong Hair and Scalp System certainly has a role to play in this! 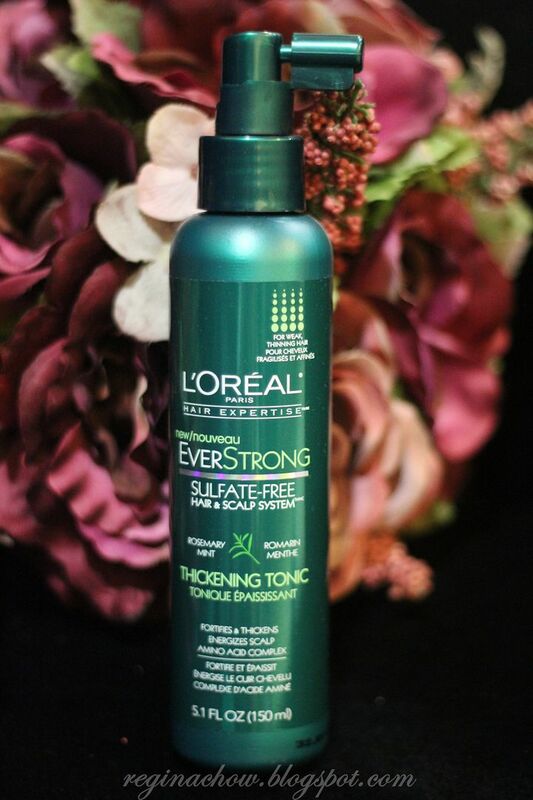 The L'Oreal EverStrong Hair and Scalp System also includes a Thickening Tonic to be sprayed onto your roots directly and massaged into the scalp. No rinsing is required. I have been using this religiously everyday after shampoo and conditioner and I absolutely love the cooling sensation and minty after feel. I can go on waxing lyrical about how wonderful this entire series is, but nothing beats actual evidence to prove that the EverStrong Hair and Scalp System really works. Before I embarked on this 30-day Hair Challenge, a few other bloggers and I popped by L'Oreal's office for a scalp scan. We also did another scan midway through the challenge. Please note that the images that follow may be rather disturbing, but do read on if you are interested to find out exactly how effective the EverStrong products were on my scalp. The whitish, cloudy residue at the roots depicts sebum (or oil) and as you can tell from my 'before' and 'after' scalp scan results, my scalp is less oily than when I first embarked on this challenge. I am so heartened to see these encouraging results and I can totally envision how clean and healthy my scalp will look after 30 days. I will do a final wrap-up of the challenge on my instagram account (@reginachow_sg) after 30 days, so do follow me if you would like to track my progress! Meanwhile, I am basking in the joy that my hair already looks and feels healthier! If you want to have lustrous hair and a healthier scalp, do join me in L'Oreal's 30-day hair challenge too. 3. After redemption, use regime for 30 days. At the end of 30 days, return to L’Oreal office to retrieve $50 hamper incentive, in exchange for a testimonial and after shot. 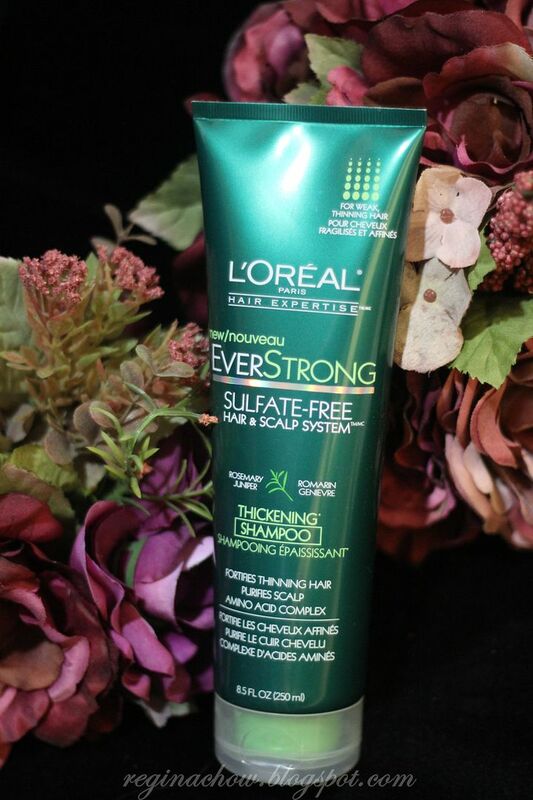 For more details on L'Oreal's EverStrong Hair and Scalp System, remember to 'Like' L'Oreal's Facebook Page here!